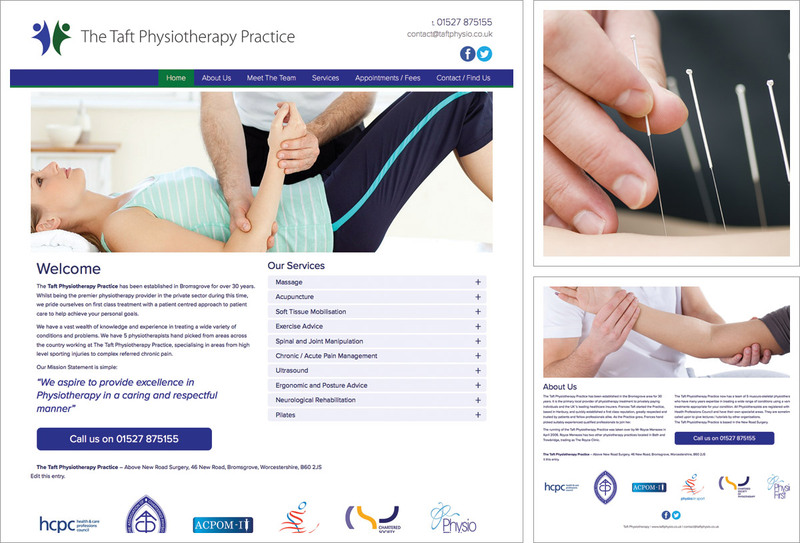 The brief for Bromsgrove based Physiotherapy Practice, Taft Physio was to modernise their existing website, making it easier to navigate, more professional in appearance and to make it responsive, so it works well when viewed from desktops, tablets and mobile phones. We worked with Taft Physio to build a new responsive framework and adding new high quality images and updated team photos. The website was constructed in stages with regular consultation with Taft Physio. Horizontal menu, widescreen changing image banner providing dynamic content, links to social media. A clean, professional image. Good practice on-page SEO techniques observed throughout. Once completed we helped with the transition from the old site to the new. Having limbered up with Taft Physio we went on to complete a similar conversion and update for The Royce Clinic, their Wiltshire based practice.